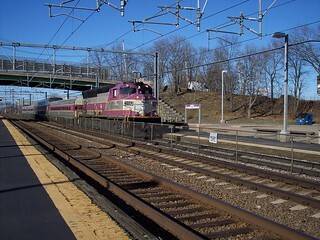 A Fairmount Line train prepares to depart the station. 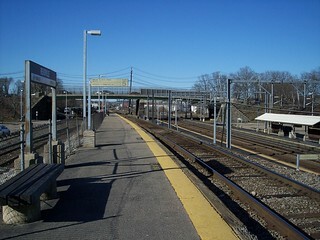 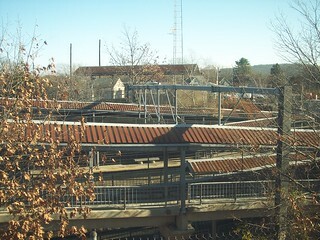 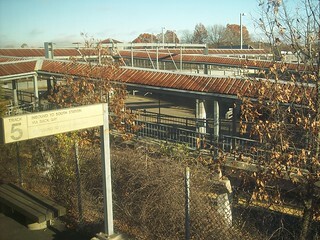 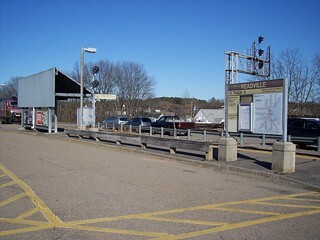 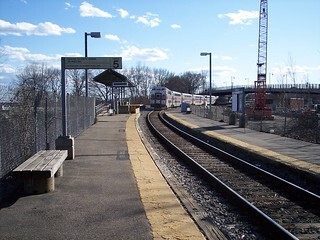 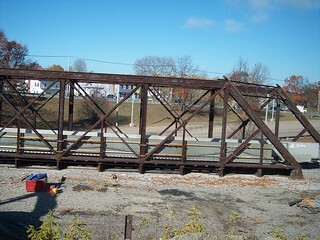 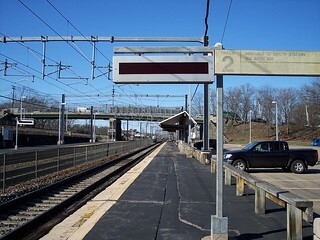 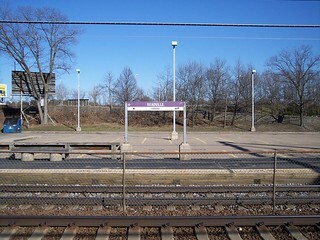 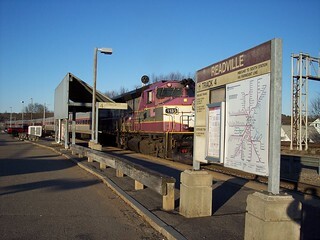 The Providence/Stoughton Line platform that is not currently in use. 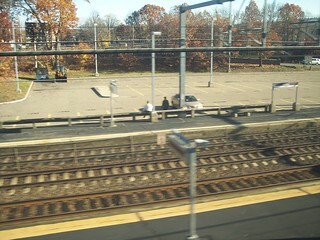 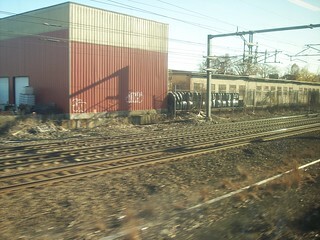 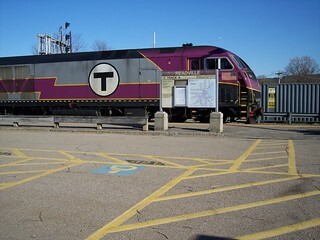 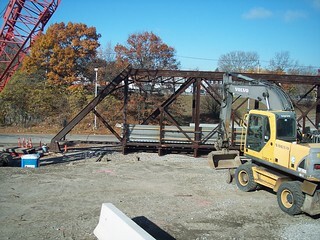 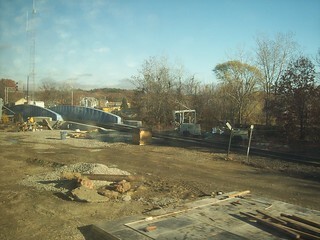 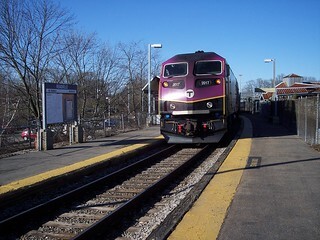 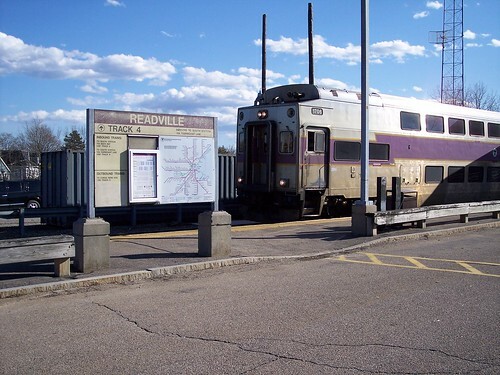 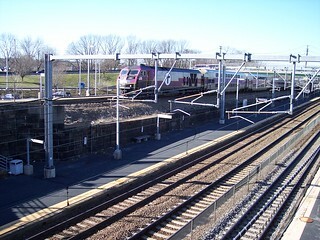 From our Franklin Line train we see the Providence/Stoughton Line and Fairmount Line tracks. 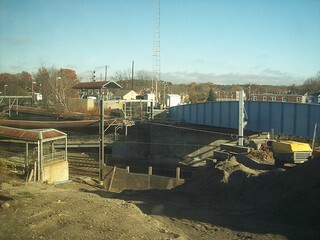 A bridge had recently been replaced at the junction.